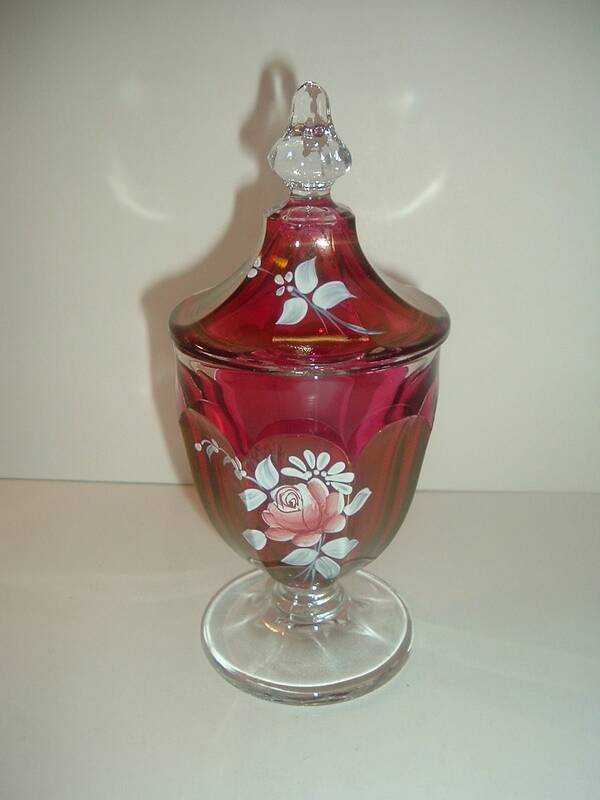 This Westmoreland ruby stain glass lidded compote measures approx. 7.75"H including lid. 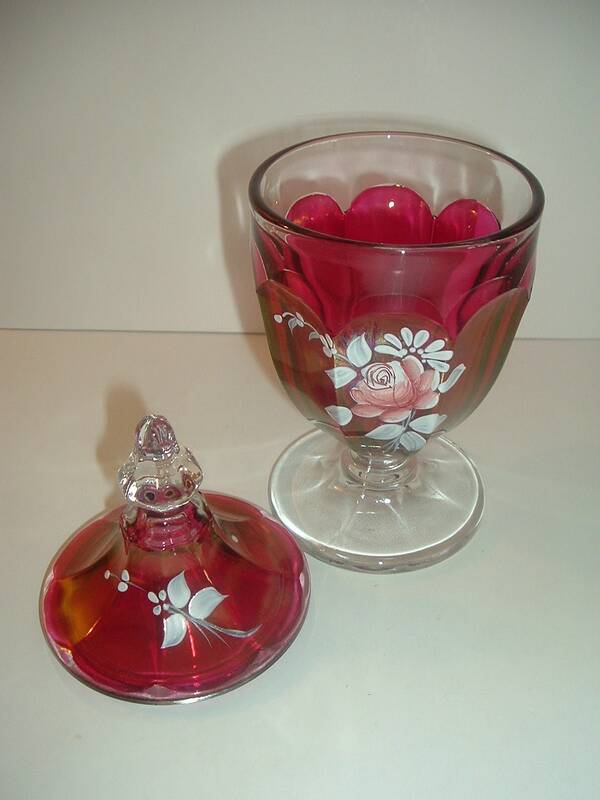 It is red in a ruby stain over clear glass with a handpainted rose and leaves. The artist signing -- E. Brown 1975 -- is on the backside. There are no chips or cracks. The paint is still in good shape. A nice one! I gladly combine shipping. I ship all orders in 1 to 3 Business Days (M-F). Please contact me if you need something quickly, and I will let you know what I can do to meet your timeline. I do accept returns. In cases where I have made a mistake, I will pay your return shipping, otherwise, you are responsible for return shipping costs. The item must be returned in its original condition. Just contact me within 14 days of delivery, and ship items back to me within 30 days of delivery. Yes! I am always happy to combine the shipping of multiple purchases to save you money. I will be happy to give you a combined shipping quote. Just contact me with the items you are interested in combining, and your zip or country. Feel free to contact me with an offer on anything in my shop. I will either accept or counter. I include dimensions in US inches. My sizing is approximate, usually using a ruler or yard stick. If you need additional information, for example fluid ounces, just let me know. Do you offer guarantees or warranties? No. However, if my description refers to something as "working", such as a vintage clock or watch, I do offer a DOA guarantee -- that is, it has to still be working upon arrival. I use packing peanuts and bubble wrap to pack and ship all of my items. 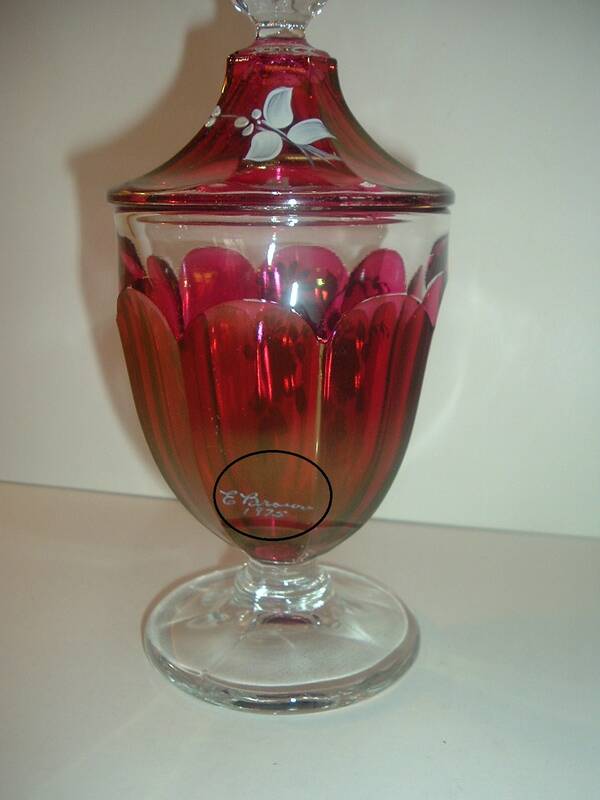 Let me know if your item is a gift, and presentation is a consideration; and/or you would like me to include a little card or note. Yes, I provide tracking on ALL of my shipments.